When I try to say to myself, 'What's the state of poetry in this country?' it almost always comes down to something not quantifiable, although of course it is encouraging that there are many more poetry readings than there ever were and that there are larger crowds assembled to hear poets. It's also good that books of poetry are published in much larger editions than was the case when I first started publishing, and somebody must be buying them. But that's about as far as one can go in terms of quantity. The quantitative news is encouraging. As for quality, there are so many, many different kinds of poets writing now, so many poets writing now, that it's hard to diagnose the situation. What I generally end by feeling is that there are 15 poets, maybe 20 poets in America who are writing poems that I would like to read. If I saw their names on a magazine cover, I'd open it and see what they were up to, and since there are that many, I'd just as soon say that yes, poetry is in a state of good health. I incline to be a little doubtful about master of fine arts programmes. Some very fine people have come out of such programmes, some wonderful people have taught in them, Robert Lowell taught in such a programme at Iowa, Donald Justice for years was a great teacher and encourager of younger poets in such programmes, but I think that many people through creative writing courses in colleges and universities and through the elaboration of that sort of thing into MFA and perhaps even doctoral courses, that many people have been led astray. They've been led to feel that they had more potential than they really did, and it might have been better for them to do something else and to stop stewing in their own juices. 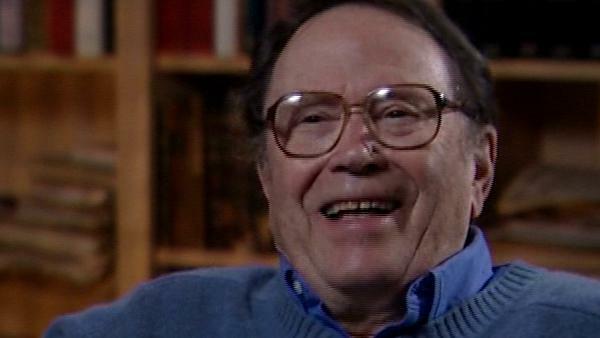 Acclaimed US poet Richard Wilbur (1921-2017) published many books and was twice awarded the Pulitzer Prize. He was less well known for creating a musical version of Voltaire's “Candide” with Bernstein and Hellman which is still produced throughout the world today. David Sofield is the Samuel Williston Professor of English at Amherst College, where he has taught the reading and writing of poetry since 1965. He is the co-editor and a contributor to Under Criticism (1998) and the author of a book of poems, Light Disguise (2003).